The shopping has begun again. Recently I've put myself on a bit of a spending ban, as last year was pretty expensive. But now with a bit more money in the bank (and thanks to some gift cards) I'm ready to see what's new. On a couple of occasions I've found myself on the high street, so thought I'd pop in a pick a couple of bits and pieces. And here's what I got! 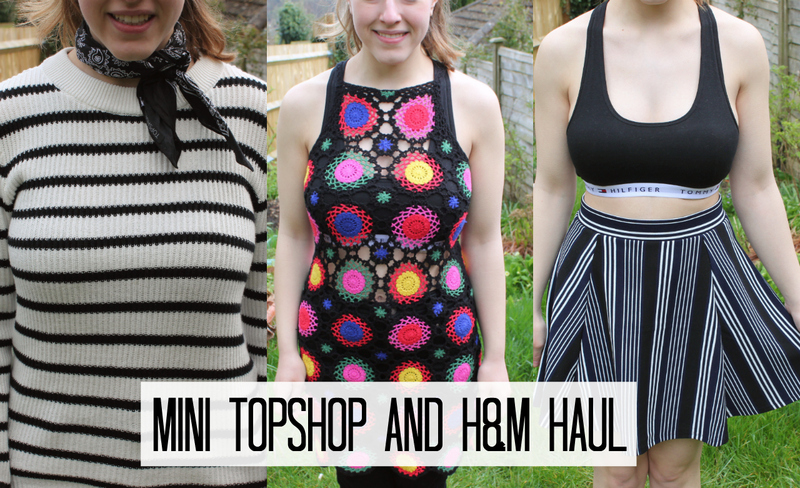 It's a mixture from Topshop and H&M, with some bits for now and some bits for summer.